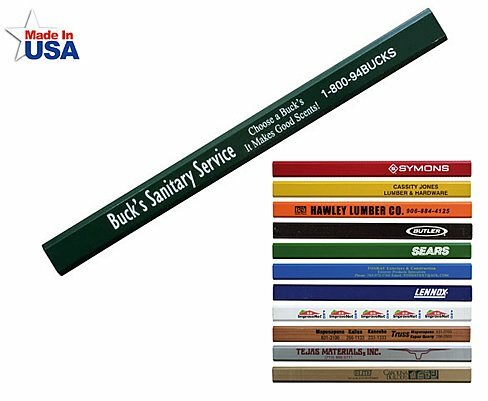 This carpenter pencil is designed for collateral advertising to blend or advocate company colors for promotion. The features of this carpenter pencil are 100% enamel lacquered wood finish and flat # 2 medium lead. These pencils are silk screen imprinted and bulk packaged in a carton standard.